Many Faceted — Gemology and jewelry-type shenanigans. I'm a Graduate Gemologist, goldsmith, writer and artist. 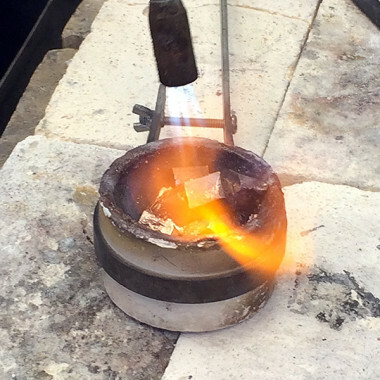 Interested in gemstones and minerals, ancient and antique jewelry, fabrication, granulation, casting, and wax carving. Also crazy about human spaceflight, science fiction & fantasy, geology, the Moon, poetry, unicorns, and Sailor Moon. 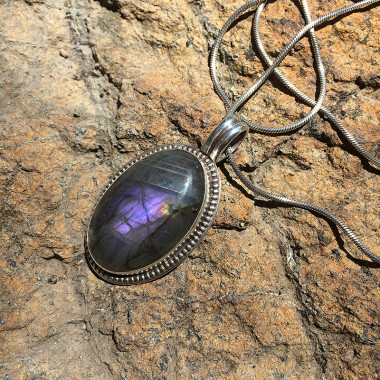 When I first got this stone in hand, I knew it was something I wanted to keep for myself (I'm a big fan of purple, AND labradorite. Didn't know it came in purple!!) I made this … More. This is the first demi-parure I've made (which is just a fancy way of saying a matched set.) 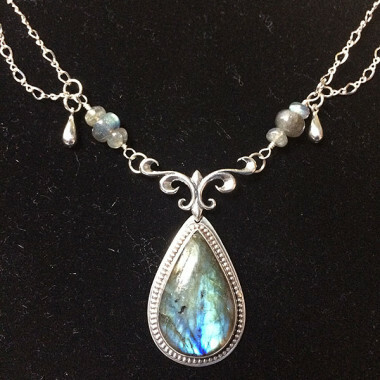 Set completed in labradorite and sterling silver, in June-July 2015. "A parure is a … More. Last month was my mom's birthday (hi Mom! ), and I decided to make her a pendant using one of the stones I bought last summer from a fellow RAGMS member. 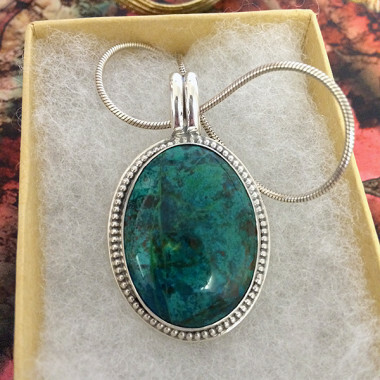 I chose a blue-green oval, … More. Today was Day 3 of Casting class, so here's the rest of the wrap-up! Before class started, I borrowed a coarse file and removed the remainder of the sprue from the bottom of … More. 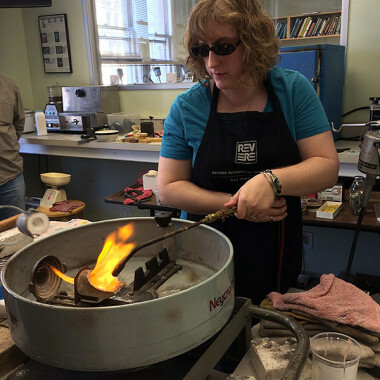 I'm in San Francisco for a class in casting at Revere Academy — MOLTEN METAL, AWWWWW YEAHHHHHHH — and wanted to share what I've done so far. There's a lot to learn about the … More. As promised, here are my photos from the Fabrication 3 class I took at Revere in July. 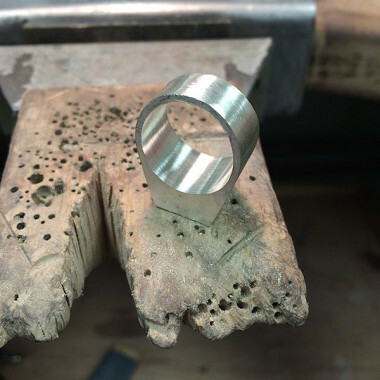 The two projects were a sweat-soldered layered brooch, and a hollow box ring. The brooch … More. This year I will also be demonstrating (for the first time!) at the Rogue Gem & Geology Club's 32nd Annual Gem & Mineral Show, at the Josephine County Fairgrounds in Grants Pass, … More. For the fourth time (!! ), I will be offering FREE GEMSTONE IDENTIFICATION all weekend as a demonstrator at the Roxy Ann Gem & Mineral Show! Come out THIS WEEKEND, April 1 & 2, … More. Well, I survived my weekend of gemstone ID at the Gem, Jewelry & Mineral Show. Actually, I more than survived... I had a great time! I saw a variety of stones, and there were only … More.